The Taj Mahal and Great Wall of China may retain their magic and claim to fame as wonders of the world for new visitors, but there are so many other wonders to consider. Seven renowned travel writers from around the globe nominate their ultimate ‘alternative wonders of the world’ that they believe deserve special status – and a place on your travel bucket list. South Africa is a nature-lover’s paradise with several distinct ecosystems across the country. From vast safari land to the greenery-laden Garden Route to coastal beaches, travellers will delight to know adventures await just below ground level too. 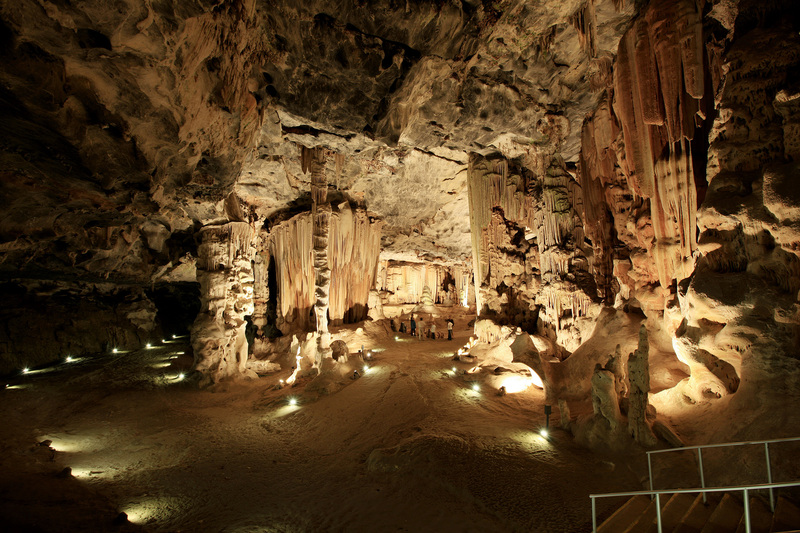 A quick car journey north from Oudtshoorn will take you to Cango Caves – a 20-million-year-old natural landmark in (or shall we say below?) South Africa. Explore subterranean chambers, dripstone formations, cave pools and limestone hollows – just some of the spectacular sights that await you here at one of the world’s biggest stalagmite formations. A South African tourism staple since the early 18th century, the caves boast vast halls and spectacular limestone ‘sculptures’. Van Zyl’s Hall will have you in awe from entering the caves, and be sure to catch a glimpse of 9-metre-high stalagmite “Cleopatra’s Needle” here. Many sections within Cango Caves are said to have taken millions of years to form – Cleopatra’s Needle alone may be more than 150,000 years old. 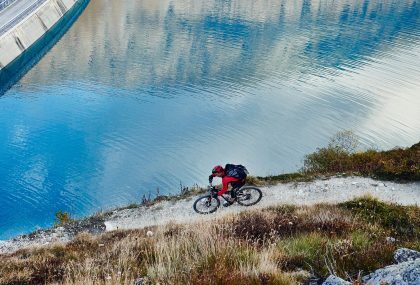 If you’re not claustrophobic and relatively athletic, join the 2-hour adventure tour through the caves and duck, climb and inch your way through and up Devil’s Chimney, Lumbago Alley, Jacob’s Ladder and the ice-cream parlour – to name but a few sections. Breathe and be prepared to squeeze your way through the only exit route – the 27cm high Leopard crawl! By far one of the most breathtaking experiences… just don’t gasp too loudly or you may disturb the colony of bats who have made Cango Caves their home. A historical mecca already, Italy beckons travellers from around the world. 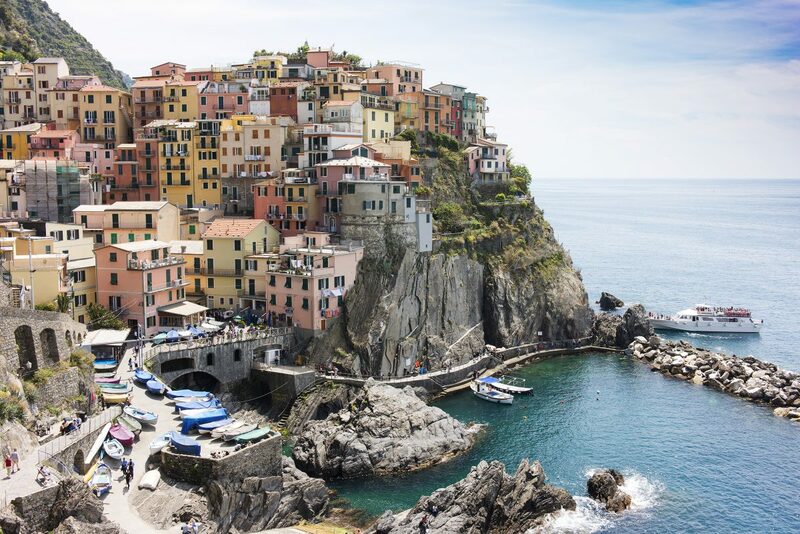 But for those seeking a quaint, picturesque destination along the coast should make their way to the old fishing villages known as Cinque Terre – with some comfortable walking shoes as well, perhaps. Cinque Terre is made up of five pastel-coloured villages – Corniglia, Manarola, Monterosso, Riomaggiore and Vernazza – that hug the Italian Riviera coastline. Many of the buildings are built directly into cliffsides, painted different shades of pastel colours, some with terraces built into the steep landscape to grow grapes and olives. Each village is mainly accessible by boat or train, but walking trails also connect the five villages. If train is your fancy, rest-assured they run regularly enough to allow you to have a mid-morning cappuccino in one village, lunch in another and a digestivo in a third. Vernazza is arguably the prettiest of the lot, founded around 1000 AD and complete with a 16th century castle. Its small fishing harbour is lined by the familiar pastel houses, and the enchanting church of Santa Margherita di Antiochia overlooks the sea. Plan lunch on the piazza where you’ll find plenty of charming restaurants and bars. Be sure to have bread and olive oil to start, as Vernazza is said to produce one of the finest olive oils in the country. 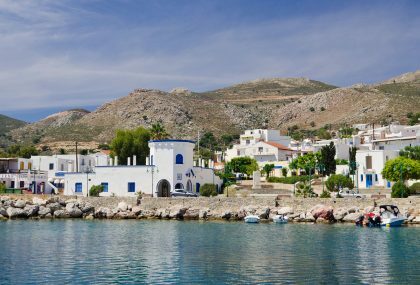 If you are feeling sprightly after lunch, try a walk between at least two of the villages – the entire route is adored by hikers who descend during the summer months. Walk Arizona’s cavernous slot canyons and you’ll find yourself wondering if you stepped into a Martian landscape or the background of one of Salvador Dali’s paintings. Located on Navajo land, many of the twisting and turning slot canyons of Page, Arizona, formed by trapped floodwaters eroding sandstone, are accessible by foot. 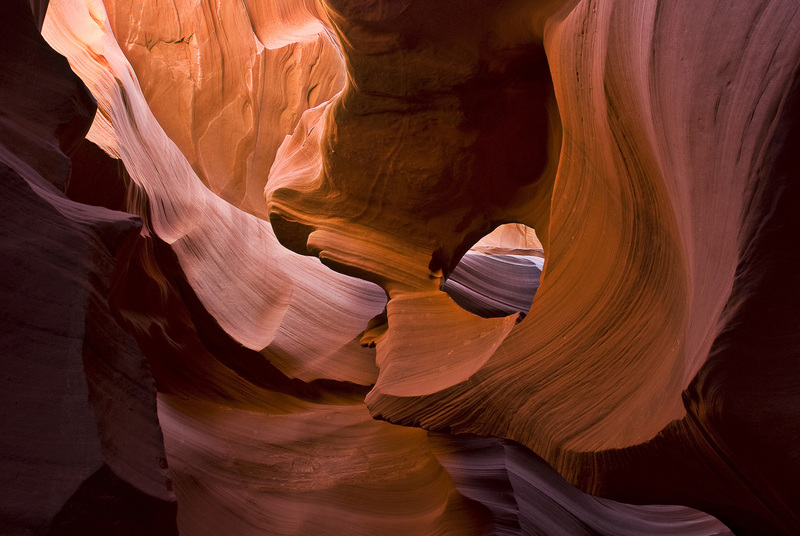 The popular Antelope Slot Canyons are high on travellers’ lists, where ethereal light beams break through the canyons from the scorching sky above. 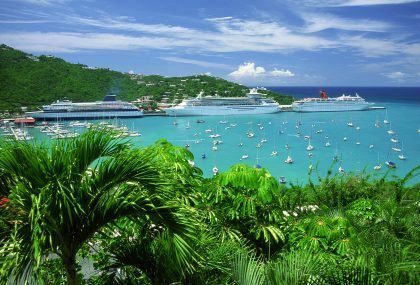 Be sure you enlist the help of a tour guide to take you there, though, as permits and hiking fees are required and visits are strictly limited to private tour operators. 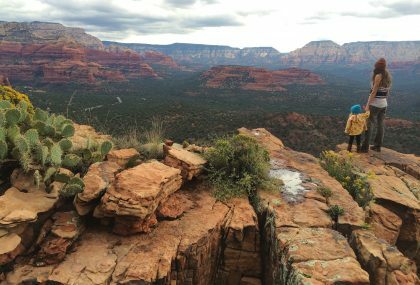 Truly ambitious outdoorsy-travellers can head to Secret Canyon, which you can hike to from 5 miles out in the Arizona dry heat. Bring plenty of water! Tour companies in the area also offer more comfortable journeys via vehicle, if hiking isn’t on your itinerary. Be sure to take a dip in the water, which is warm throughout much of summer and fall, in the neighbouring majestic Lake Powell. Stretching 186 miles through multiple states, it’s the perfect picturesque ending, with time out relaxing on a pontoon boat. 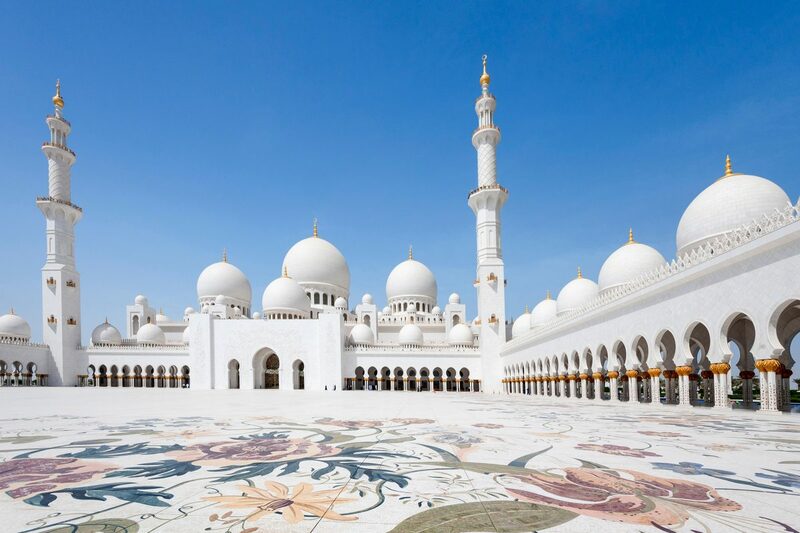 One of the UAE’s most jaw-dropping buildings (and there’s a lot of competition), the Sheikh Zayed Grand Mosque in Abu Dhabi spans more than 12 hectares (120,000 square metres) of land. The largest mosque in the Emirate, it can accommodate – and regularly welcomes – over 40,000 worshippers, especially during Eid. The mosque itself is a modern feat of innovative architecture. 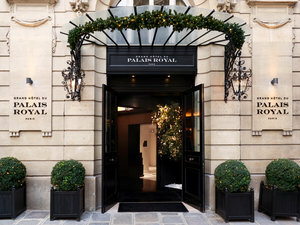 Designed and constructed by various materials and artisans and opened in 2007, the pure white marble exteriors are complemented by mosaic floral designs. At night, 22 light towers illuminate the mosque in varying brightness inspired by the phases of the moon. The impressive design doesn’t end with the exterior either. Inside, visitors will find ornate chandeliers with millions of Swarovski crystals, the largest weighing in at 12 tonnes. The main prayer hall houses what’s thought to be the world’s largest carpet too (5,700 square metres), hand-crafted by 1,200 artisans and surrounded by 96 marble columns inlaid with mother of pearl. This stunning place of worship in the nation’s capital is open to non-Muslims for free educational tours, as well as providing a peaceful place for prayer. There’s a library on-site as well, intended to serve the community with more educational material in a broad range of languages. Although the mosque is open to visitors, travellers are reminded to respect mosque etiquette, which requires all visitors to wear loose-fitting clothing that covers your whole body, and a headscarf for women. But don’t fret – hooded abayas for women and kanduras for men can be borrowed at no cost if necessary. The Harbin Opera House is a wonder of modern architecture completed in 2015 by Beijing studio MAD. It is the focal point of Harbin Cultural Island, a 444-acre contemporary arts complex along the Songhua River in northeast China. The exterior is made of smooth, white aluminium panels and glass to mirror the natural undulations of the surrounding marsh landscape. 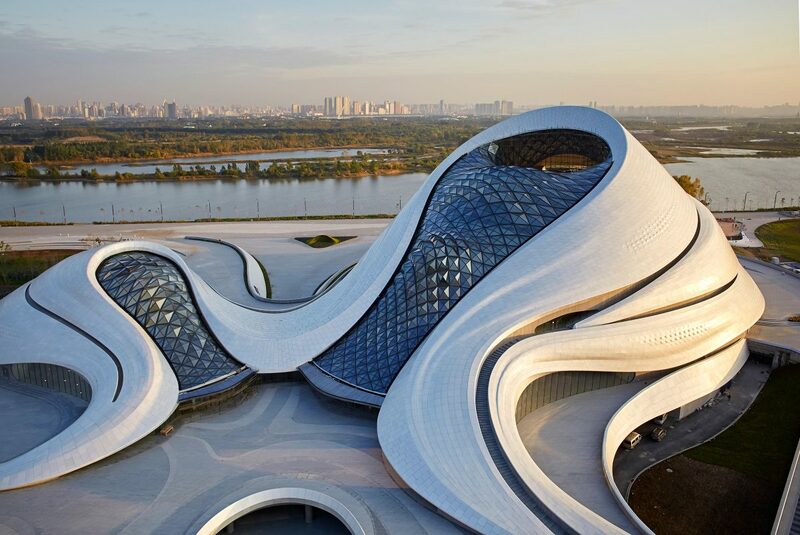 While the complex itself is grandiose, it’s the futuristic Opera House that really puts Harbin on the map. The striking 79,000-square-metre Opera House design was also inspired by the city’s topography and climate, the curved and sloped exterior blending into the snowy terrain in winter. Inside, the lobby welcomes visitors with massive glass walls, inviting in natural light to again seamlessly connect the interior, exterior and the city of Harbin beyond the glass. The Grand Theatre, the larger of the two theatres within the Opera House, reveals stunning curved wooden walls sculpted from Manchurian ash creating world-class acoustics, and holds up to 1,600 visitors. The second, more intimate performance space can house an audience of 400, but mimics the same wooden wall aesthetic of its grander counterpart. Harbin, where winters are certainly extreme (the annual average temperature is a harsh 4C/40F! ), is also famous for its yearly Ice and Snow Sculpture Festival and for its intriguing blend of Chinese and Russian cultures. 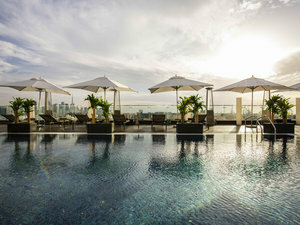 Come for inspiring views of the innovative Opera House and stay for the fun and festivities. There are daily flights to Harbin Taiping International Airport via Beijing and Shanghai. Set in splendid isolation amidst the wrinkled emptiness of the great Kyzylkum desert and straddling the ancient Silk Road linking China with Europe, Khiva is among the world’s best-preserved Medieval cities. It has a history teemed by battles, shifts in ruling powers and many rumoured rebuildings, but its prime location helped develop its capitalist foundation. Between the centuries, ruling empires accumulated vast wealth trading silk, spices and more, and each contributed in their own ways to the physical structures that exist today. 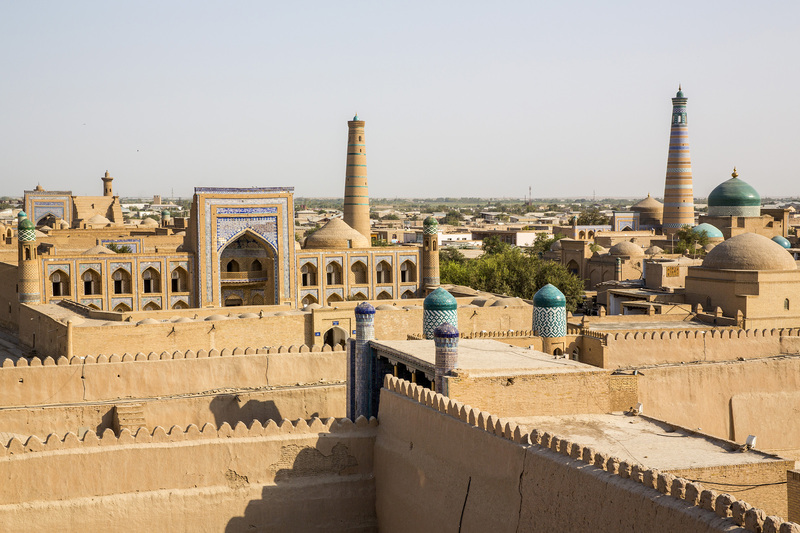 Khiva comprises of centuries-old, beautiful Islamic architecture, from many mosques, mausoleums, madrassas and minarets, which are irresistible lures for today’s visitors. Here, it seems time stands still. Domed mosques glitter with turquoise tiles, gaily-banded minarets soar into an impossibly blue sky, residents mull about peacefully and pure desert light trickles through stone lattice-work windows. Carefully protected from development, a stroll around traffic-free Khiva really is a step into the past. After some 150 years of Tsarist Russian, then Soviet rule, Khiva wears its Islamic heritage lightly, and women can freely enter its mosques and madrassas. Only a few thousand residents live within the walls, properties strictly passed down from generation to generation. Visitors should plan to stay outside the western wall of the old city or in Urgench, but there are numerous courtyard cafes and restaurants within the walls to enjoy. Khiva lies about 1000km west of Uzbekistan’s capital, Tashkent. To reach it, fly to Urgench, a mere 35km drive from Khiva. The only thing more whimsical than this house is the man for which it is unofficially named. The “Dr. 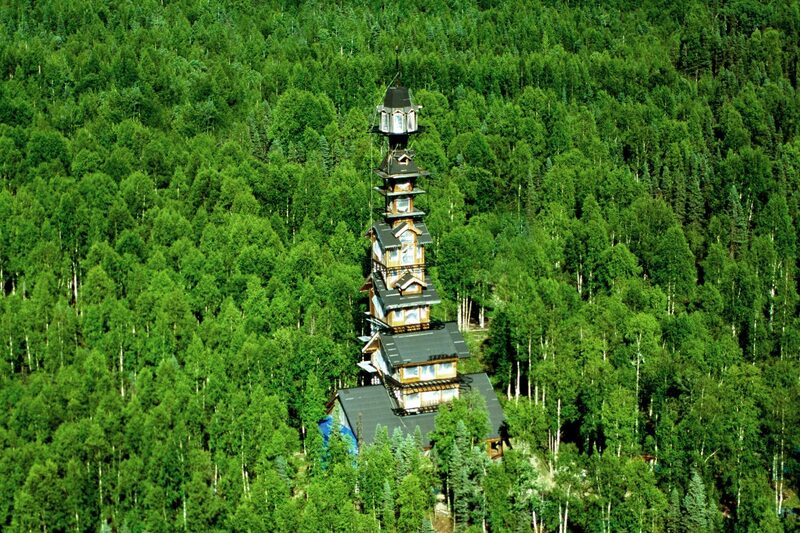 Seuss House” outside Willow, Alaska is a house stacked like a layer cake 56-metres tall. Once shrouded in mystery, a local news station began to dig into it and discovered the actual name of the house is Goose Creek Tower, built by Phil Weidner, an attorney from Anchorage. He wanted a prime view of Denali from his house, but to see past the tall trees that blocked his view, he built the house up. Small staircases and ladders lead from floor-to-floor with metal decks that wrap around nearly every storey. Weidner’s self-proclaimed “poem to the sky” remains unfinished and was even abandoned for 10 years before it was recently repurchased. As the home sits on private property it isn’t possible to actually visit it (without invitation from the owner, of course). But can you see it from a train? And can you see it from a plane? Why yes, you can see it from a train, and you can see it from a plane! Travellers have spotted the marvel from the train that runs between Anchorage and Denali, as well as from the sky via helicopter or small aircraft. You may also catch a glimpse as you’re driving along the Parks Highway nearby. But the best place to view it is from the air, so if flight-seeing is on your itinerary for Alaska, do so out of Talkeetna and ask your pilot to make a beeline for the famous Dr. Seuss house and get your cameras ready. Search your trip now to cross off one (or all!) of these amazing world wonders from your travel bucket list.